May 25th has passed but businesses all over the EU are still scrambling to become ‘GDPR compliant’. If your business depends on email marketing, whether it be in the form of newsletters or larger scale campaigns, then ask yourself this question: should you be scrambling too? GDPR is a reaction to the growth in the digital economy over the last decade. Personal data has become extremely valuable. The regulations are being introduced in order to change the way in which personal data is collected and stored. That’s the much-quoted description, but the real objective is to increase consumer trust in the digital economy, allowing it to grow. Abuse of sensitive personal data and ruthless use of unapproved contact databases has meant that where marketing is concerned, consumer and customer trust is at an all-time low. Individuals data should be collected for specified, explicit and legitimate purposes and not further processed in a way that renders it incompatible. Data should only be kept in a form that permits identification of the individual for only as long as is necessary for the purposes for which it has been collected. Individuals data should be processed in a manner that ensures appropriate security of the personal data, including protection against unauthorised or unlawful processing and against accidental loss, destruction or damage, using appropriate technical or organisational measures. The first thing to bear in mind is that, since May 25th, it is no longer okay to simply ‘collect’ email addresses – the recipient needs to ‘opt-in’. However, if they opt-in to receiving newsletters and later you want to send them a marketing email you will need their consent for that as well. Otherwise, you may be at risk of receiving one of the new hefty GDPR related fines. You also need to step up your security where storing data is concerned. If you have all your customers email addresses in an unprotected spreadsheet this is a breach of the new regulations – so take steps to store that data in a more secure way. If you get hacked, lose or damage the data, or it accidentally gets used for the wrong purposes, you will be liable. You need to audit your existing mailing lists. Make sure that you know what people have opted into and how. If this proves impossible then there are two ways to rectify the situation (and avoid a potential 20 million euro fine): delete all your existing contacts and start again or ask everyone to give their consent again. Chances are you yourself have already had emails from companies asking you for the latter. Don’t just be reactionary. You need to make sure that the actions you take either inform new, sustainable processes or are repeatable. Looking at your year ahead, are there any new marketing initiatives? If so look closely at how GDPR impacts them and anything you will need to do to ensure compliance. After May 25th, data management in the digital economy will change forever. 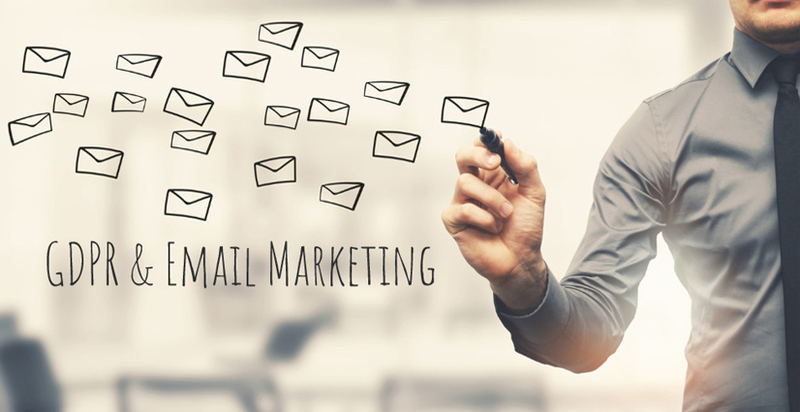 The way email marketing strategy works will be considerably different, especially for businesses that have been buying mailing lists. It may seem initially daunting but if you take the time to audit and change your email marketing practices, it’s relatively simple. Please note the advice above is only guidance and does not claim to be legal advice. Each business will have unique challenges and PA Business Support encourages the reader to seek professional legal advice about the specific ramifications of GDPR on their business. Co-Director of PA Business Support Ltd with Sophie Burnett.